NEWCASTLE, N.B. 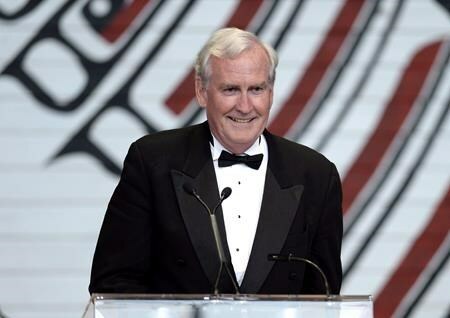 — Kevin Vickers, hailed as a hero for helping to end the 2014 attack on Parliament Hill, is making a leap to politics with a bid for the leadership of New Brunswick’s Opposition Liberals. The former House of Commons sergeant-at-arms made the announcement to a packed hall Friday in Newcastle, N.B. “My roots are here. My heart is here. I love New Brunswick. And I love the people of New Brunswick. New Brunswick has been good to me. It’s now time for me to give back,” said Vickers, who is making his political debut in his early 60s. Vickers retired this month as Canada’s ambassador to Ireland, and has been travelling New Brunswick over the last two weeks. He is hoping to replace former premier Brian Gallant, who lost power last fall after the Liberals failed to form a minority government in the weeks following the Sept. 24 provincial election. He said he had learned much during his long career as an RCMP officer about respecting the importance of everyone. His announcement Friday began with both an Indigenous honour song and an Irish dance troupe. “I bring people together. That is what I do. That is who I am,” Vickers said to a standing ovation. He listed multiple policy priorities, from health care and education to tackling climate change and green-lighting a highway project delayed by Conservative Premier Blaine Higgs. Vickers said he wants to increase immigration to one per cent of the provincial population annually, and to bring former New Brunswickers home again, saying growth is key. “Demography is destiny,” he said. In a dark suit and green tie, the proud Irish-Canadian switched between French and English in front of an audience that included many sitting Liberal members of the legislature and former Liberal premier Camille Theriault. “I think Mr. Vickers brings a lot of experience, a lot of knowledge of the different facts in the province of New Brunswick and he offers hope,” Theriault said. Donald Wright, a political scientist with the University of New Brunswick, said Vickers’ entrance limits the candidates for the leadership. “I think him getting into the race might dissuade other people from getting into the race because he’s generated by his name a lot of buzz and a sense of inevitability, coronation. I think it’s troubling,” Wright said. Vickers has had a long career of public service, including 29 years in the RCMP. He also served as aide-de-camp for the lieutenant-governor of New Brunswick. He was sergeant-at-arms of the House of Commons between 2006 and 2015. Vickers said he learned a lot in his nine years in the House of Commons and especially enjoyed question period. On Oct. 22, 2014, Vickers was working in the Commons when he shot and helped take down a man armed with a .30-30 rifle. Michael Zihaf Bibeau had barged into Centre Block on Parliament Hill after killing honour guard reservist Cpl. Nathan Cirillo at the National War Memorial. He did not focus on the event during Friday’s announcement. Vickers was appointed ambassador to Ireland in January 2015 by then-prime minister Stephen Harper. Rene Ephestion, leader of the New Brunswick Liberal Multicultural Inclusion Commission, has also expressed his interest in seeking the leadership. Higgs’ minority government is relying on support from a third party — the right-leaning People’s Alliance, led by Kris Austin. But that arrangement is set to expire next year.